Legend, Clint, Randall, Braedon and Drew the intern talk about the things they hate since it was a slow news week. The 2015 Busch Gardens Fun Card is valid from the date of purchase through Dec. 31, 2015. Prices are $95 for adults and $90 for children ages 3 to 9. Guests can also purchase a SeaWorld® and Busch Gardens Fun Card for $165. Fun Cards, annual passes and single-day tickets are available online at buschgardens.com, at the Busch Gardens’ front gate or by calling (888) 800-5447. Performances are included with any Fun Card, annual pass or daily admission and event dates, times and artists are subject to change. Visit buschgardens.com for more information, or be the first to know about new events, special deals and future announcements by following the park’s blog at BuschGardensTampaBlog.com, or “Like” the Busch Gardens Facebook page, and follow @buschgardens on Twitter and Instagram. 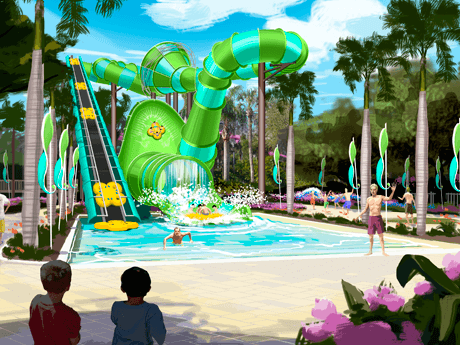 NEW FOR 2015: Hurtle high above Adventure Island® Tampa’s 30 acres of water-drenched fun in the sun and experience a feeling of weightlessness aboard Colossal Curl™, the park’s newest thrill slide debuting for the 2015 season. This colorful slide combines funnel and wave elements for an exciting ride that’s sure to get hearts racing. True to its name and holding up to four passengers, this mega slide delivers a high-adrenaline, action-packed adventure, making it the ultimate family thrill slide and adding to the waterpark’s unrivaled combination of corkscrews, waterfalls, high-speed thrills and tropical, tranquil surroundings for guests of all ages. Be the first to know about new events, special deals and future announcements by following the Busch Gardens’ blog at BuschGardensTampaBlog.com, or “like” the Adventure Island Facebook page and follow @buschgardens on Twitter.